How can CBD help with your ailments or conditions? 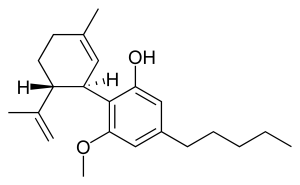 Cannabidiol — CBD— is a cannabis compound that has significant medical benefits, but does not make people feel “stoned” and can actually counteract the psychoactivity of THC. The fact that CBD-rich cannabis doesn’t get one high makes it an appealing treatment option for patients seeking anti-inflammatory, anti-pain, anti-anxiety, anti-psychotic, and/or anti-spasm effects without troubling lethargy or dysphoria. Scientific and clinical studies underscore CBD’s potential as a treatment for a wide range of conditions, including arthritis, diabetes, alcoholism, MS, chronic pain, schizophrenia, PTSD, antibiotic-resistant infections, epilepsy, and other neurological disorders. CBD has demonstrated neuroprotective and neurogenic effects, and its anti-cancer properties are currently being investigated at several academic research centers in the United States and elsewhere. MDherb provides educational resources for physicians, patients, and the general public. On MDherb, you’ll find cutting-edge information on developments in cannabinoid science and therapeutics, as well as practical information from doctors and patients who are exploring the use of CBD-rich cannabis. 5. How to you dose CBD?